27/04/15. Awbar Village, Darbandikhan area, Iraq. 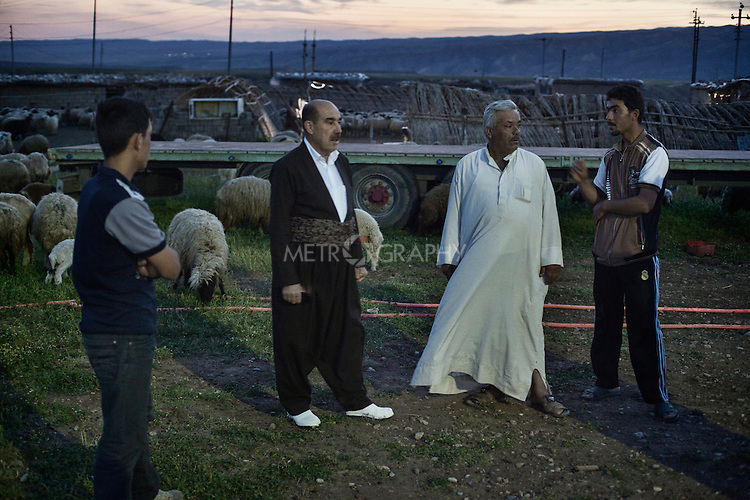 -- Najm and his son Saif talk with the owner of the herd Said.